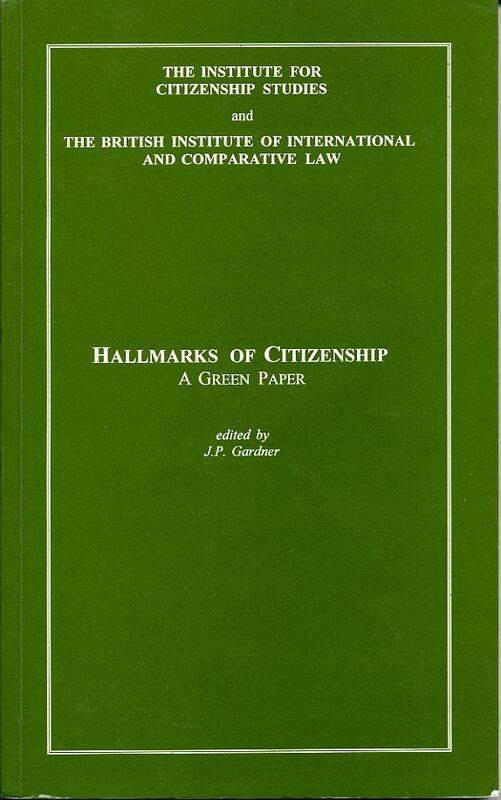 This Green Paper is the result of a research project jointly undertaken by the Institute for Citizenship Studies and the British Institute of International and Comparative Law. The starting point was the absence of a clear statement of the legal relevance of citizenship in the United Kingdom. The research has identified eighteen Hallmarks of Citizenship which serve to set the boundaries as to the proper scope of the legal rights and obligations to which citizenship refers. A second aspect of this study is to consider how far the enjoyment of rights identified as hallmarks of Citizenship is dependent upon being a national of the country concerned. This part has been particularly relevant for exploring the meaning and scope of Citizenship of the Union, or European Citizenship, created by the Treaty of European Union (TEU) signed at Maastricht in 1992.